With these animated tools you can fill a specific area of the scene with different animated patterns. 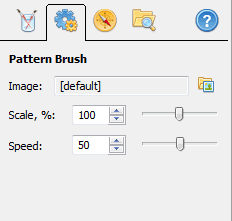 Several predefined patterns are available for you in the program for immediate use. Also you can create a custom glitter effect by loading any animated gif file. It is recommended that you use a seamless pattern for this tool, because if the animated gif is smaller than the current scene, its image will be tiled in both the vertical and horizontal directions. This example show a greeting card decorated with one of the glitter brushes. You can change the following parameters. 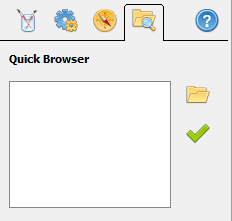 This dialog allows you to set any folder on your computer for quick access to gif files that it contains. After you choose a folder, all gif files contained in it will appear in the list. 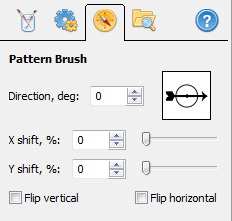 To change the current animated pattern of the effect, select the title in the list and click the checkmark.